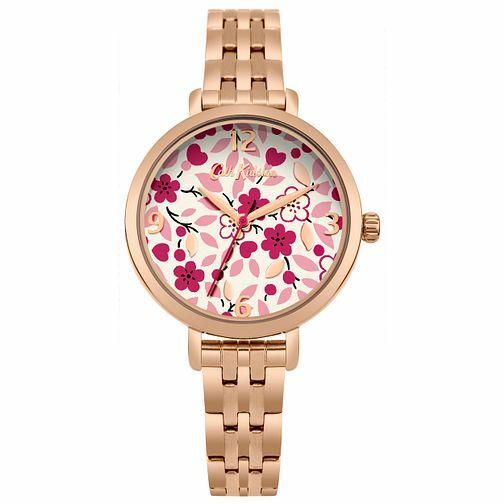 This Cath Kidston ladies' watch features a pretty and feminine 34mm rose gold case with a delicate Littlemore flowers printed dial and a slim, rose gold plated, stainless steel polished bracelet. 3 ATM. 24 months international warranty.